Owned and operated by Skip Guarniere, Synergy Personal Training offers its clients a more scientific approach to health and wellness. Currently operating in its Downtown Delray Beach location, Synergy is an elite establishment dedicated to private personal training. “Our objective is simple, to give each of our clients training that is effective, efficient and customized to achieve ultimate success in the shortest amount of time. We have noticed exceptional success with our executive level clients. These clients typically do not have ‘time’ to work out. Using our approach to fitness and weight loss, working in our client’s peak heart rate zones, we are able to provide results in just 30 minutes, twice a week…even the busiest executive has time for our program.” –Skip Guarniere. 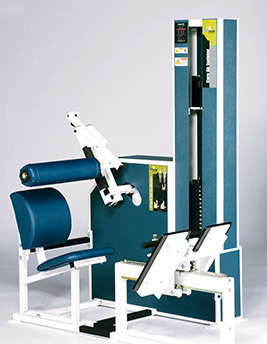 In addition to Guarniere’s customized training programs, the facility uses the highest quality, medical grade equipment by MedX. 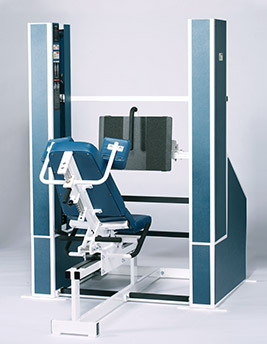 MedX equipment surpasses the limitations of typical exercise equipment and not only allows for ultimate physical success, but allows those facing spinal or cardiovascular limitations the opportunity to successfully participate in a wellness program. Also available, exclusively at Synergy Personal Training, is their revolutionary Sling Suspension Equipment. Suspension based exercises allows the user to address muscle imbalances and improve core stability. Currently, Synergy is the only establishment in America offering Sling Suspension to its clients. Incorporated into every MedX product are decades of experience and millions of dollars of independent, university-based research. MedX is the most technologically advanced fitness, sports and medical/rehabilitation equipment available. MedX products achieve training efficiency through resistance curves matched to tested and proven subject strength curve profiles.